Each year, the Giants hold “Fellowship Day,” where a handful of players take a small stage in Triples Alley to speak to fans about how their faith has helped them in their lives, professionally and privately. Saturday, one of those players was Giants reliever Hunter Strickland, who took the opportunity to bare his soul to a couple hundred fans scattered throughout the AT&T Park outfield, sharing for the first time his two-year battle with a chronic condition called Ulcerative Colitis. 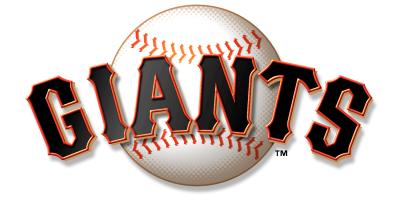 Strickland admitted to fans in attendance that part of him wanted to back out of the event after he took the loss in an 11-inning battle with the Mets earlier in the afternoon. But he said his faith brought him out anyway, as he hoped to use his platform to inspire others. While he has kept his health issue private until Saturday, Strickland said his teammates know what he’s gone through and have been supportive. He even found out from fellow bullpen denizen, Sam Dyson, that he’s not alone in the baseball community. Dyson’s former teammate Jake Diekman of the Diamondbacks (formerly of the Rangers) has been dealing with the same disease for years and formed the Gut it Out Foundation in 2015 to offer support to the IBD community and funding to education and research on the incurable disease. He said he hopes to join Diekman in his efforts to help others dealing with Ulcerative Colitis and he plans to offer his support to Diekman’s foundation in any way he can. Strickland told SFBay the experience of sharing with fans Saturday was “outside my comfort zone,” but in the end, the experience was a positive one and he hopes to use his platform to help others. Correction: An earlier version of this story incorrectly referred to Ulcerative Colitis as a form of Irritable Bowel Disease, it is instead a form of Inflammatory Bowel Disease.